At Avon Medicos, our friendly and professional pharmacists and staff are committed to providing a comprehensive range of quality products with excellent professional service at affordable prices. Our stores are conveniently located to cater to your healthcare needs so you can visit us anytime, anywhere. Advice On Drug Interaction: If you are consuming various drugs at the same time, you can check with our friendly pharmacists on the possible reactions when these drugs are administered together. Chronic Disease Management: Chronic diseases or long-term medical conditions are a leading cause of illness and death in Singapore. 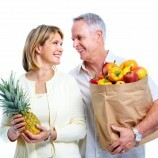 It is not easy to manage chronic diseases and keep these under control. At Avon Medicos, our team of dedicated pharmacists will work together with you to better manage your condition through monitoring and counseling, setting achievable goals and reaching them. Dispensary Service: Our dispensary offers prescription and non-prescription items for purchase. Our pharmacist will also provide advice on proper usage of the medications. Pricing: We understand that maintaining family in this crucial time of economy is bit hard for everyone. On top of other expenses, healthcare cost can be painful. To save your hard earned money we will give you the best price in town. If you would like to find out to see how much we can save you on your medicines, please bring your old bottles from previous pharmacy or a list of meds or new prescriptions and we will quote you right away. You will be glad that you came to our pharmacy.